Australian Peter Greste is an award-winning journalist who has worked for many media organisations including BBC, CNN and now Al Jazeera. Since 29 December 2013, he has been held in Cairo’s high-security Tora Prison after he was arrested alongside his Al-Jazeera news colleagues in a hotel in Cairo. Egypt’s authorities say they , among other things, were ‘damaging to national security’. Having spent time in solitary confinement without charge, he and his colleagues — Mohamed Fadel Fahmy and Baher Mohamed — were later charged with falsifying news and having a negative impact on overseas perceptions of the country. On 21 February 2014 the men were refused bail and their hearing set for 5 March 2014. Al Jazeera say the journalists were just doing their job — that is, getting all sides of the story. Here is a summary of events from Australia’s SBS Television website. The Doha-based Al Jazeera English has led an active ‘#FreeAJStaff’ campaign to draw attention to the detained men and the restrictions on freedom of the press in Egypt. 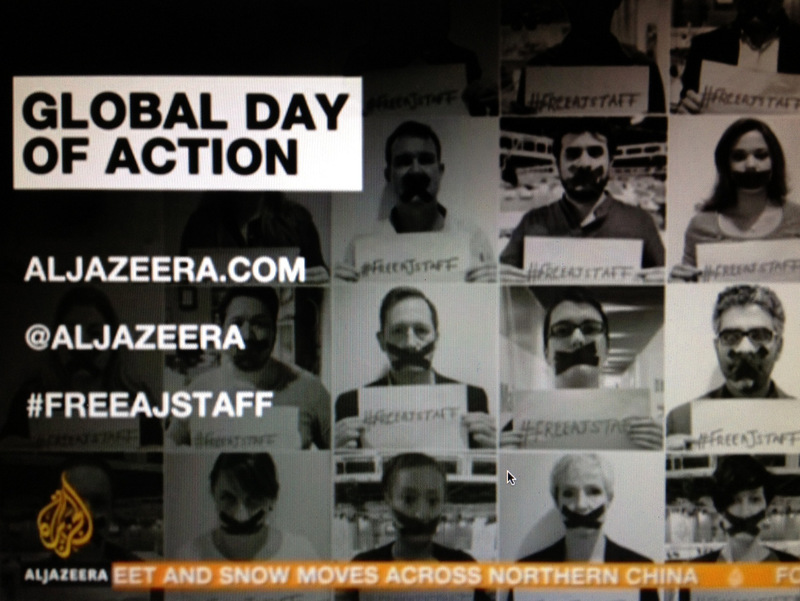 Today 27 February is the #FreeAJStaff Day of Action. 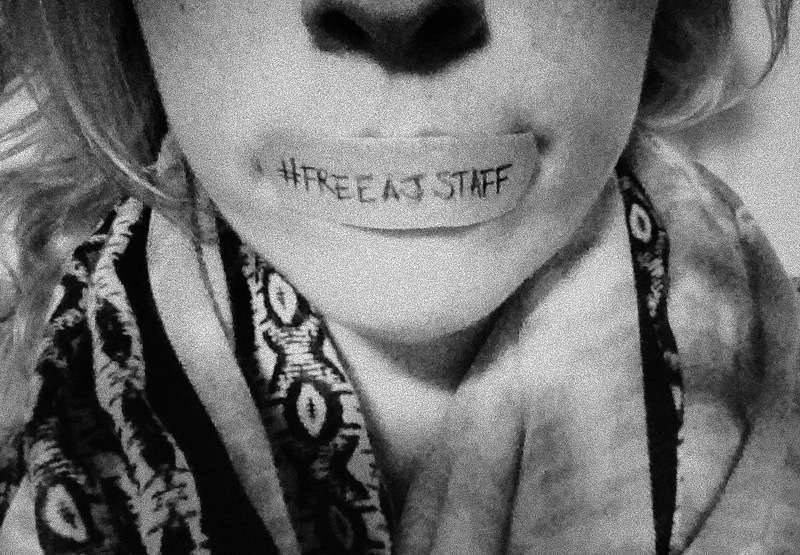 There are peaceful protests taking place in more than 30 countries and wherever you are, you can join the ‘Free AJ Staff Thunderclap’. At 14:00 GMT, Thunderclap will post simultaneously to the 100s of Twitter and Facebook accounts, supporting the Al Jazeera staff. Go to the Thunderclap website to be part of it. A few weeks ago, Al Jazeera’s ‘The Stream’ program ran a story about press freedom in Egypt, and I commented as part of the program. You can watch the episode here.